We know that search engine optimization or SEO is an ever-evolving entity and for the last few years, we have witnessed in huge changes in the tools and techniques businesses use for ranking well in SERPs. 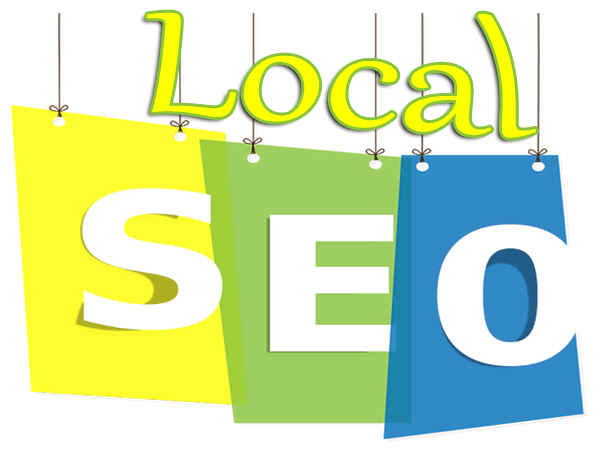 Similar to SEO, its local counterpart which is the local SEO is also changing year-by-year, and it is due to new kinds of tools and strategies to use to increase their visibility in location-specific search results. Last year we saw most debates and discussions centered on local search especially Google+ Local and Google Places for Business. After the Google Pigeon update roll out in the last year, search marketers are looking for more innovative ways to reducing the gap between their brand and the customers. So, now you will be asking, where should search marketers and business owners focus their efforts? Are there still any shortcuts or less-hassle ways that can be used? Here are a few practical suggestions that will assist you in achieving local search visibility this year. In the SEO industry, most of the debates and discussions were centered on local SEO rankings rather than online presence. You may be thinking that if your listing and website rankings are high you will get the major chunk of organic traffic but in reality, it is necessarily not. According to many industry experts, online visibility is about controlling and dominating search territory. If your local listing has top rankings to your website just below the fold, that might not be enough. Have you thought that if your competitors are ranking with images on a visual-based search and using Google Adwords to secure the above-the-fold territory with locally relevant reviews, extensions and social integrations? Even if they rank below your primary online properties, they will have far more web presence, get more visitors, gain more trust, and probably more conversions. When you are doing a local SEO campaign you cannot achieve top rankings for your business without the help from Google’s platforms. Google+ Local and Google Places for Businesses are still preferred by many for achieving locally oriented search benefits. You need to make sure that your listing is presented as often, and in the best possible way. In the past few years, local SEO was all about reviews, citations (NAP). For improving local visibility, reviews are one effective strategy, but it is extremely difficult to get. However, Google is making it far easier with every new combination the company introduces between its various services. Take advantage of your potential customers on any Google product, whether it is a Gmail contact list, Google+ community, or YouTube followers, if you are asking people to leave a review when they are already logged into their Google account, it is literally a couple of clicks. You need to make it seamless and they are more likely to take 2 minutes to assist you out. Even though the standard of local search optimization is generally increasing, but there are still so many business owners who aren’t aware of the basic concepts of local SEO. Without the basics, businesses can make mistakes such as the exclusion of a custom meta-description or focusing only on how to achieve more rankings rather than attract new site visitors. For your information, reaching number one on the first page of search results doesn’t mean you get majority visitor traffic. If your meta-description is an isolated section of your webpage’s opening paragraph, and your competitors behind you may have carefully shaped their snippets to make your audience want to click, you are going to lose out. Due to the ignorance of local SEO basics, businesses fail to get the most out of their campaign as they ignore the significance of schema markup. How often have you clicked on a search result page listing as it has 5 yellow stars next to it? Your customers will do the same as you. So, before you proceed with your local search campaign, make sure that you are knowledgeable about the basics first. Vineetha is an SEO specialist working at Treuemax Info solution as SEO Team Leader, having 3 years experience in this field. You can follow us on Twitter, Facebook and Linkedin. Previous post: Domain Names: Are There Any Good Ones Left?